In the last few years, there has been technological advancement in industrial settings and the home is also not left out. The need for improved security and convenience helped in the manufacturing of outdoor lights with motion sensors. 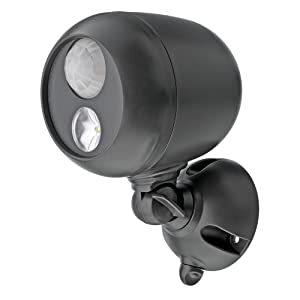 In this article, we will be writing about the best outdoor motion sensor lights. We will also be giving you some useful information about them. 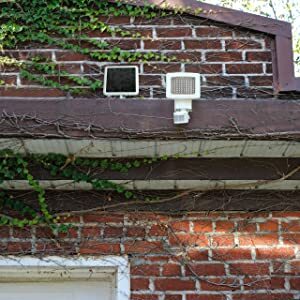 How To Setup Outdoor Motion Sensor Lights? 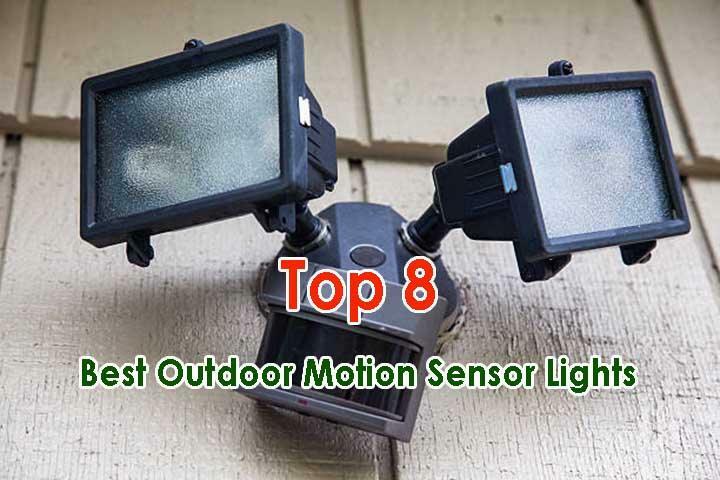 To ensure that you choose the best outdoor motion sensor light, you should consider the factors below. There are 2 major types of outdoor motion sensor lights and they are; LED and Incandescent. While the LED lights are more expensive than the incandescent lights, the LED is more cost efficient. This is due to the fact that the LED lights consume less energy than incandescent lights. In the long run, the cost saved by using LED lights will make the LED light a cheaper option. 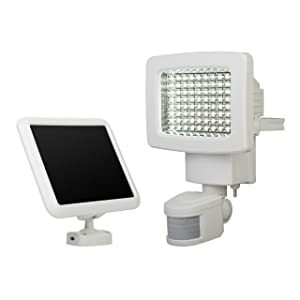 It is advisable to choose wireless outdoor motion sensor lights. This is because it is very easy to install and most times you only need screws to set them up. Also, with wireless lights, you can decide to change the location of the lights at any time. Wireless lights are also safer because it eliminates the risk of electrocution. You are also less likely to have electrical sparks which can lead to fire when using wireless lights. The range of outdoor motion sensors to be considered is the illumination range and the motion detection range. The illumination range refers to the area the light will reach when turned on. The illumination range mostly depends on how bright the light is which can be determined by the lumen count. The higher the lumen count, the more ground the light will cover. The motion detection range, on the other hand, is the distance to the light needed for the sensors to detect motion. If you want lights that are very bright, ensure you choose the ones with a higher lumen rating. And if you want dimmer lights, choose the one with lower lumen ratings. Although, you have to note that some manufacturers might be deceitful when it comes to the lumen rating of the light. This is why it is advisable to go for products of companies with good track records. When you compare the lumen of lights with the watt ratings, then you will have an idea of how efficient the light is. Lights with low watts consume less energy which in turn reduces your electricity cost. To choose the best outdoor motion sensor light, ensure that the wattage consumption is very low compared to its lumen rating. On-Grid outdoor solar lights are solar lights that can only be powered by the utility power grid. The Off-Grid outdoor lights on the other hand can be powered by external sources like batteries after the power grid goes down. While the On-Grid lights are less expensive, the Off-grid lights can be very useful in situations where the solar panels didn’t get enough charge. 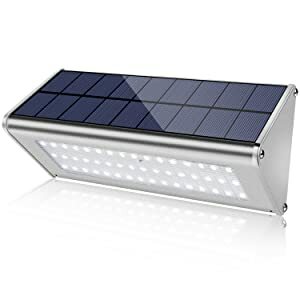 In conclusion, when choosing outdoor solar motion sensor lights, you should consider the cost and benefits of the On-Grid and Off-Grid systems before making your decision. Choosing the right outdoor motion sensor light can be a daunting task due to the existence of numerous products. 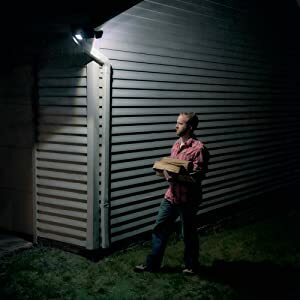 This is why we have taken the pain to select some of the best outdoor motion sensor lights and reviewed them for you. We were particular about choosing lights that are durable, efficient and of great value. 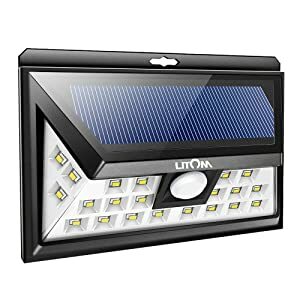 The Litom Outdoor Motion Sensor light is a solar light that provides illumination for millions of people around the globe. 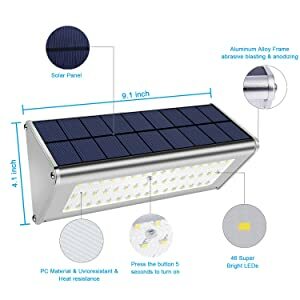 The light is produced by one of the top companies in solar lighting and you can rest assured that you are going to be purchasing a quality product. The light has an upgraded powerful LED which makes the light as bright as ever. Also, the light is equipped with a wide-angle design that makes the light cover a wider area. To put this feature in context, the angle and reach of the light are increased by almost 50%. This makes the light to cover a 270-degree angle and a 200 square feet area. The light is solar and with it, you do not have to worry about electricity bills. All you need to do is place the light in a position of direct sunlight for charging. Furthermore, the light has an IP65 waterproof feature which makes it more durable. The motion sensor of the LITOM LED light is very sensitive as it can pick up any movement easily. After detecting motion, the light stays on for 20 seconds and it stays longer if there is still movement when the light is still on. Finally, the motion sensor light has 3 sensing modes which are; dim light, medium light and bright light. This gives you a choice compared to other lights with single mode. 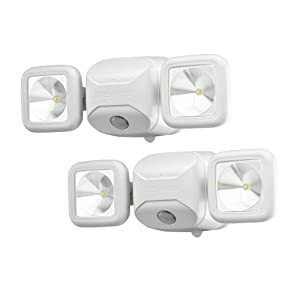 Mr Beams MB360 Wireless LED Spotlight is an affordable motion sensor light. It is perfect for security purposes and for lighting up of doorways. Regardless of its small size, the MB360 can still give a total output of 140 lumens of light. The light is also energy efficient which means that you will be paying less for electricity compared to the bright light you are getting. The light’s motion sensor also shuts off automatically 30 seconds after movement around its radius stops. This feature helps to extend the lifespan of the batteries. Moreover, the batteries are durable and you can use them for up to a year which further saves you more money in the long run. Furthermore, the light has a UV light sensor which lets it turn on automatically when it is getting dark and off when it is dawn. Whilst the manufacturers claim the light is waterproof, this is untrue. Because after using the light for more than a year, you might find that the inside of the light has been corroded. Finally, the installation of the light is very easy and it can be done under 10 minutes. The only thing you need to install the light is a screwdriver because the mounting gear is already included in the light's package. When you want to illuminate a large area, then you should be looking at dual headed lights. 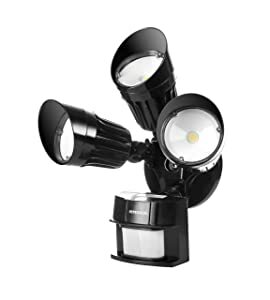 The LEONLITE 2 head outdoor security floodlight is a dual headed light that emits bright light with an output of 1600 lumens. With this light, you get to cover a wider angle compared to single headed lights. The light also consumes less and you can save up to 85% of energy cost when compared to halogen lamps with the same lumen output with it. Furthermore, the light has 3 operational modes which are; Auto mode, on time mode and Dusk to dawn mode. 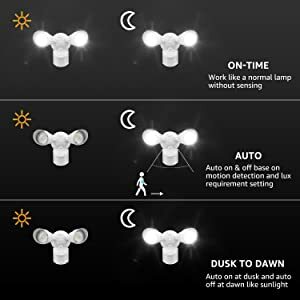 The auto mode allows the light to detect motion, the on-time mode allows you to put on/off the light manually while the dusk to dawn mode turns on the light at dusk and off at dawn. Also, the light's sensor can detect motion for up to 70 feet away which is quite impressive. In addition, the lifespan of the light is 50,000 hours which can be calculated as 10 to 15 years of light if the light is used for 8 hours per day on average. For durability, the light was made weatherproof which makes the light usable in any weather condition. Finally, the light is also corrosion resistant which makes the light retain its beautiful look. The installation manual isn’t really helpful. People who are looking for a nature-friendly source of light will tend to look at solar lights. The Sunforce 82080 is a solar LED light with amazing features. It has an 80 LED feature which makes it very bright. Also, with its total lumen output of 900, you are further assured of its brightness. The light features an amorphous solar panel that is very efficient. This solar panel ensures that the panel doesn’t need direct sunlight to get charged which makes it perfect for non-sunny weather conditions. The motion sensor is also very sensitive and it can detect the slightest movement. This can be an advantage or disadvantage depending on how you look at it. The range of the sensors is impressive too as it can sense motion that is 30 feet away. Moreover, you have a choice to set the light to turn off after 30, 60 or 120 seconds after it senses motion. Furthermore, the Sunforce 82080 solar motion light is weather resistant. This allows the user to be able to use it regardless of how harsh the weather is without worry. Finally, the light is easy to install and you do not the services of professionals before setting up. 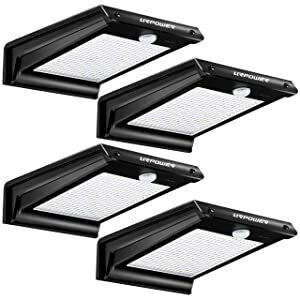 Hyperikon is one of the leaders in the LED light industry and this product from them shows innovation and power. It is a very bright floodlight with a total output of 2700 lumens. The light is also efficient as you only get to consume just 30 watts of energy. Furthermore, the light has a motion sensor which lets it spot movement that is as far as 40 feet. This helps you to spot unwanted guests before they come close to your place. In addition, the LED light also has the dusk to dawn sensors that help to turn on the light when it is dusk and off when it is dawn. With this, you are relieved of the stress of having to manually turn on the light yourself. For durability purpose, the light has an IP65 weatherproof feature. 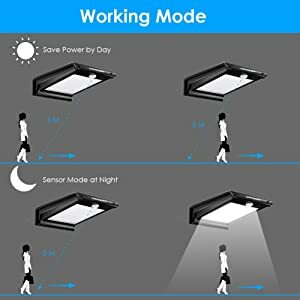 This feature allows the user to be able to use the light without any fear of harsh weather limiting the light's performance. 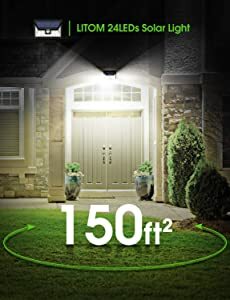 Installation of the light is quick and easy and all you have to do is; mount the security light on the wall and follow the easy wiring instructions. Finally, with its 5-year warranty, you can get the light replaced in case there is any quality issue. Furthermore, the light is aesthetically pleasing and this is due to its shiny white body finish. Its weatherproof feature also makes the light suitable for outdoor use because it can withstand any harsh weather condition. Installation of the light is easy and this is due to the fact that it is wireless. All that is needed to install the light are screws which are included in the package of the light. Finally, one thing we do not like about the light is the absence of different light modes but we are sure its other features overshadow this flaw. The light is weatherproof which makes it suitable for all year outdoor use. URPOWER is one of the leaders in the solar light production industry and their 20 LED Motion Sensor Outdoor light shows the reason they are one of the best. The 20 LED light is not only bright but it also has a smart energy saving capability. The light has 2 operational modes which are the on/off mode and the motion detection mode. The on/off mode allows you to turn on/off the light manually while the motion detection mode helps to turn on the light when it detects movement. However, we do not like the fact that the sensor’s range is barely 10 feet and it only stays on for 20 seconds after detecting motion. Furthermore, the light is extremely durable and this is because it is made out of strong stainless steel. This makes it an ideal outdoor light for harsh weather conditions. It also includes a 1000mAh 3.7V Li-on battery that is capable of lasting for 10 hours. Finally, the solar light is easy to install and this is because it is wireless. All you need are screws which are included in the packaging of the product. It is made with durable stainless steel. Herryshome is known to produce great solar lights but the Super Bright 48 LED light is an upgrade on every other solar light they have produced. The light features 48 powerful LED lights that peak at 1100 lumens when fully charged. The light has a polycrystalline silicon solar panel with a large surface which makes it collect sunlight easily for charging. With the solar panel, you do not have to worry about placing the light where it can get direct sunlight because it will get charged nonetheless. Furthermore, it has a high-end aluminium alloy casing that makes the light strong and light. Besides, the light’s casing is also corrosion resistant which makes it last longer regardless of the harsh weather. Also, the lampshade is made to be resistant to colouration and heat in order to maintain its aesthetic look. 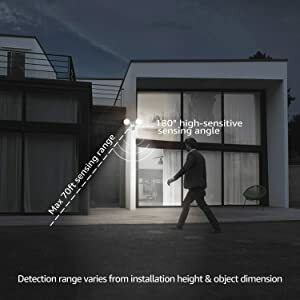 Additionally, the light has a microwave radar motion detector with a 360-degree angle and 32 feet detection distance. With this, you can rest assured that no movement will go unnoticed. It also has four working modes namely; dim-bright mode, constant lighting mode, off-bright mode, and emergency lighting mode. Moreover, these modes can easily be assessed through the pushing of a single button. Finally, you get a 5-year warranty and a guarantee that you will get a refund if you do not want the product again before 180 days elapse. People tend to ask what they stand to gain by purchasing motion sensor lights. We will be answering this question below; all you need to do is continue reading. Often times than not, lights are left on when not needed which lets the electricity bill continue to pile up. Motion sensor lights are very good for reduction of electricity bills and this is because it helps you eliminate this problem. With the motion sensor light, you have the choice of letting the light turn on only when people are around. Light switches are always hard to find in dark rooms and you can find yourself falling over objects if you are not careful. With motion sensor lights, you do not have to worry about this because once you enter a dark room; the light will automatically turn on itself. This helps mitigate the risk of getting injured when you are trying to turn on the light. LED motion sensor lights are the ideal lights for security conscious people. This is because it acts as a deterrent against unwanted people. Thieves, for instance, prefer to act when it is dark but with LED motion sensor lights, it is impossible for them. This is because they won't go unnoticed due to the light's auto on feature. With this light, the home feels safer without having to invest heavily in security gadgets. If you have problems with rodents like skunks, rats, racoons and rabbits disturbing your yard, then the motion sensor light is for you. 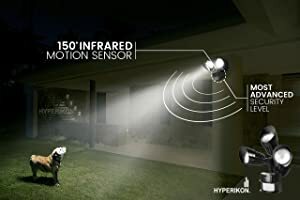 This is because these rodents do not like lights and whenever they come around, the sensors will detect their movements and immediately turn on the light. Placing motion sensor lights in strategic places is very important in order for you to get the best out of them. You should try to place the lights in major entryways, walkways, and all home entrances. This has two major advantages and one of them is; it lights up the way for your guests. The second benefit of this is that it will discourage intruders from coming close to the entrance. Also, try to install the lights in dark corners and garages. This helps to illuminate the area when you are walking around there. It also gives the intruder no place to hide. False alarms are one of the problems of motion sensor lights. You can prevent this by placing the lights high from the ground to avoid it picking up the slightest of movements. This is because it can be frustrating when your light keeps turning on every time due to the movement of your pets. After completing this article, you must have learnt so many things about outdoor motion sensor lights. We also reviewed some of the best outdoor motion sensor lights you can find. While all the lights we reviewed are of top quality, the Litom Outdoor Motion Sensor Light betters them all. This is because the light can cover a wider area of land than most motion lights. Also, the light has 3 sensor modes and it has a weatherproof feature. In conclusion, we have recommended the outdoor motion lights we are confident about but the final decision lies in your hand. 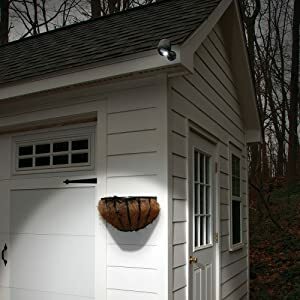 Ensure you follow all the tips we recommended in this article and we assure you that you will not regret buying the outdoor motion sensor light. The light has an upgraded powerful LED which makes the light as bright as ever. Also, the light is equipped with a wide-angle design that makes the light cover a wider area. To put this feature in context, the angle and reach of the light are increased by almost 50%. This makes the light to cover a 270-degree angle and a 200 square feet area. Furthermore, the light has an IP65 waterproof feature which makes it more durable. How To Wire Solar Panels? It is important to also note GreenWindSolar.com is a participant in the Amazon Services LLC Associates Program, an affiliate advertising program designed to provide a means for website owners to earn advertising fees by advertising and linking to Amazon.com, Amazon.co.uk, Amazon.ca, Endless.com, Smallparts.com, Myhabit.com, and any other website that may be affiliated with Amazon Service LLC Associates Program. We do not specifically market to children under 13.